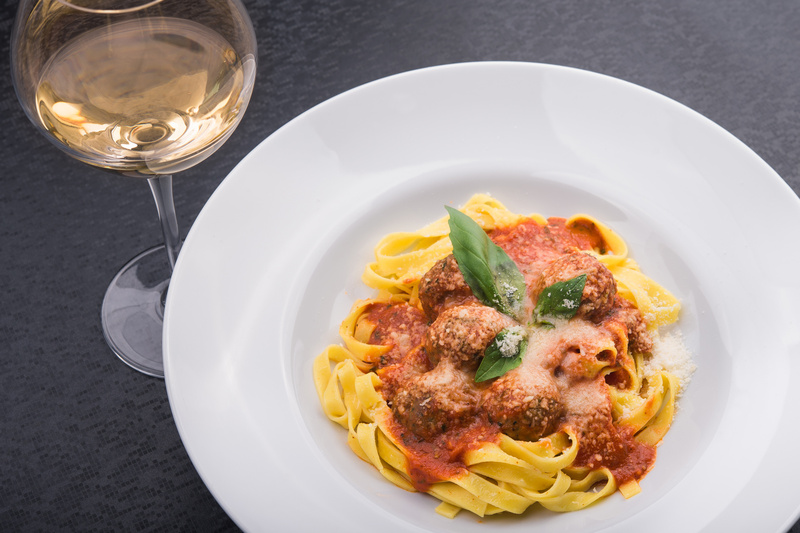 The old saying, ‘when in Rome, do as the Romans do’ is a perfect rule to apply to Italian food. This is one of Tuscany’s most important dishes. However, it does have humble origins as it is said to have originated when servants collected their master’s unfinished bread and vegetables to re-boil it for their own meal. It is a thick, hearty soup – similar to chilli con carne. Although it is perhaps not the most obvious dish to try on your Italian vacation it is so delicious – perhaps not what you might expect when you consider how it came to be. Arancini is another traditional Italian food dish. It is made of stuffed rice balls that are covered in breadcrumbs and then fried. Inside you will usually find ragù and mozzarella – with additional fillings available depending on the region of Italy you are in. We would definitely recommend trying some spaghetti bolognese, or as the locals call it - tagliatelle al ragù in Bologna. This is the city it originates from. It won’t be served with spaghetti here. As the title suggests, the dish is served with tagliatelle pasta. It will also include pancetta as well as the traditional mince base. This gives it a smoky flavour along with very finely chopped onion, celery and carrot. Nutmeg is used to enhance the flavour – there is absolutely no garlic. There’s nothing quite like tasting this traditional Italian food whilst in Italy. And if you are keen to try tagliatelle al ragù, then you should consider casting your taste buds a little further and try Bigoli. It is the signature pasta of the Veneto region – the area around Venice that stretches from the Dolomite Mountains to the Adriatic Sea. Bigoli pasta is like noodles – but quite thick which makes it easy for the sauce to cling to them. The sauce is made from red wine, vegetables and roasted wild duck. It is definitely worthy of a place on any list of the best Italian food. If you like meat, then this dish is one that many of our visitors rave about. It is a dish of traditional good Italian food made from veal shanks; slowly braised in white wine and vegetables, served with gremolata which is a condiment made from lemon zest, garlic and parsley. This is a traditional Italian food dish from the north of Italy. You may have tasted or seen tortellini served with a creamy sauce. This dish is served in a simple chicken based broth, topped with a little Parmesan. It is a delicious staple of the country. You’ll find plenty of opportunities to taste gelato on all Italian holidays. And like the savoury dishes listed above, the authentic Italian versions are delicious. Southern Italy excels in sorbet versions of gelato so you’ll find plenty of non-dairy alternatives. And you can usually find any flavour you can think of! It seems right to finish off on a sweet treet. Torrone is a nougat like sweet / candy which you can find at cafes across Italy. It is delicious and is made with honey, egg whites, nuts and citrus fruit zest. All of these are best sampled with some Italian wine, before being washed down with some delicious Italian espresso. If you are planning an Italian vacation, then please do visit the Avventure Bellissime site at tours-italy.com for more information on our Italian holiday packages and Italian tours – where we can help you explore some of Italy’s best cities, towns and sights with our expert guides. - There’s our new tour that takes in Tuscan wine country and hill top towns that you can find out more about here. - Or our tour of Valpolicella wine region that you can find out more about here. - Or even our Florence cookery class offer where you can learn how to make a traditional Tuscan meal. Also, if you are looking for some travel inspiration be sure to check out our other blog posts. It’s a great read about all things about all things Italian and Italian holidays!